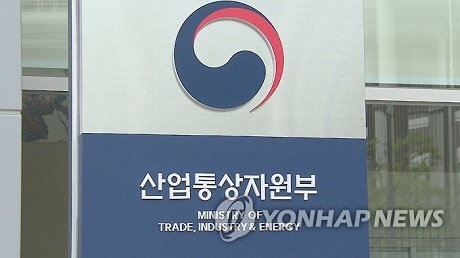 The Korean government held its first regional investor relations activities called the “caravan for foreign investment” in Changwon, South Gyeongsang Province, with the aim of helping to reach $20 billion in foreign direct investment for four straight years, according to the Ministry of Trade, Industry and Energy on Monday. The caravan for foreign investment refers to a government activity to help foreign investors solve their investment challenges and to encourage more, the ministry said. The event was attended by 17 foreign companies and around 150 mid-sized local firms located in the areas of Busan, Ulsan and Kyungnam. During the event, the ministry had a briefing session to introduce its plan to form a fund to attract foreign investment, a meeting with 17 CEOs from foreign companies and a matching fair between financial institutions and local companies. The government said it would form a fund of around $50 million with the aim of setting up a platform to match foreign investors and local companies by providing liquidity to skilled local companies. The fund will be comprised of $10 million from the government, $10 million from the Korea Development Bank and $30 million from the private sector. The government said there are many local companies -- which are low-profile but have high technologies -- hoping to make joint investment with foreign companies in order to jump into the global market. “The investment fund will be a tool to help provide trust to the foreign companies, which avoid partnerships with low-profile local companies because of risk,” said a spokesperson of the ministry. The fund will be invested in around 10 to 20 local companies related to the “fourth industrial revolution,” including artificial intelligence, robotics technologies and life science. At the meeting with CEOs from 17 foreign companies, Lee Ho-joon, chief of the ministry’s investment policy division, attended to discuss Korea’s investment environment, possibilities to increase investment and investment challenges. The 17 foreign companies are in the areas of petrochemistry, automobiles, car parts, aviation and shipbuilding and plant facilities. “We will periodically hold this caravan event in other regions to promote foreign investment nationwide with the aim of reaching $20 billion in foreign investment this year,” said Kim Jae-joon, a chief of the ministry’s investment attraction division. Last year, foreign direct investment to Korea reached a record high of $22.9 billion due to the increased investment in manufacturing, including electric and electronics facilities. In the first quarter of this year, FDI reached $4.9 billion, a 28 percent increase from the same period of last year, according to the ministry.